"The Trevista® 50 Smooth offers a sophisticated finish to any landscape. It’s smooth surface texture and clean, pristine lines are essential to it’s contemporary design. 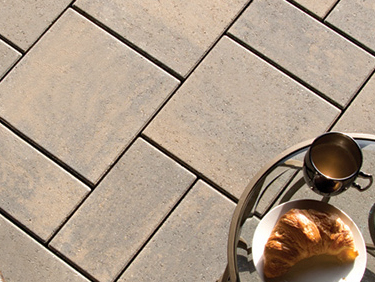 Complimenting the Trevista® 80 Smooth paver, this collection can be used in vehicular and pedestrian applications, allowing for a seamless transition from the driveway to the backyard."